I’m pregnant – What next? Send it to the address given on the last page. No stamps required – it’s freepost. The West Coast District Health Board (WCDHB) provides both primary and secondary maternity care services (see definitions below). The West Coast maternity service works in conjunction with Christchurch Women’s Hospital for antenatal consultation and review for potential pregnancy problems. 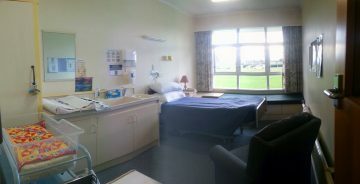 All women and babies requiring tertiary level care are transferred to a tertiary unit, most often Christchurch Women’s Hospital. In 2014, 269 babies were born at Grey Base Hospital, with 87 caesarean sections, (a rate of 32%). West Coast Maternity Services are Baby Friendly Hospital Initiative (BFHI) accredited, an international accreditation process monitored by the World Health Organisation and UNICEF. All WCDHB facilities are smoke free. If you are a smoker our staff can offer you assistance to enrol in a free smoking cessation programme. As soon as your pregnancy is confirmed it is recommended that you find and register with a lead maternity carer (LMC), by nine weeks gestation, if possible. Your LMC will organise your first booking visit (before 12 weeks gestation) to review your general wellbeing, provide dietary advice, explain options for antenatal screening, arrange appropriate tests and discuss support services. Self-employed LMC midwives provide both hospital and home births. If you are thinking of having a homebirth or would like more information on home birth, view our Home Birth Association information, and visit the findyourmidwife site for LMC midwives who facilitate home births. What is a first trimester screening test? Maternity care providers will often suggest a pregnant mother has a blood test taken when she is 10 weeks pregnant. This is specifically to conduct a measurement of pregnancy hormones. If chromosomal abnormalities are present, these results can be out of the normal range. These blood tests, in combination with the 12 week ultrasound, provide what is known as “A First Trimester Screening Test”. A mother’s age, including the results from the blood test, and the findings of the ultrasound all provide an individualised picture of her risk of having a baby with Down Syndrome. This screening test is not a definite diagnosis of chromosomal problems, but rather provides a risk assessment. If there are concerns, then further testing can be done. Please register with your LMC within at least the first 10 weeks to ensure your antenatal scans can be booked at Grey Base Hospital. Late booking of antenatal scans may require travel to Christchurch at your own cost. If you have not yet had any type of pregnancy ultrasound and you are around 12 weeks pregnant, your maternity care provider may suggest you have one. There are many reasons for having an ultrasound at this stage, but one of the most common is to screen for one of the congenital chromosomal abnormalities – Trisomy 21, otherwise known as Down Syndrome. This means that there is an extra chromosome – 21 contained in every cell of the body. People with Down Syndrome have physical and intellectual disabilities. Older women are more at risk of having a baby with Down Syndrome. When a woman is 12 weeks pregnant her risk of having a baby with Down Syndrome can be fairly accurately assessed. When a foetus has Down syndrome they tend to have more fluid at the base of their neck, in the region known as the nuchal fold area. This fluid can be measured in a test called nuchal translucency. A foetus with Down Syndrome has a measurement which is thicker than in those who do not. It is worth remembering though, that a larger than average nuchal fold measurement is not a guarantee that the baby will have chromosomal problems. Other tests for Down Syndrome need to be done if in doubt. In addition, blood tests such as a Chorion Villus Sampling test or an amniocentesis help to clarify any suspicions. The 12 week ultrasound may be the first time parents have seen their little baby. So this is an exciting, if a little nerve-wracking time. It’s completely normal for parents to consider the possibility that their baby may not be developing as it needs to and perhaps build apprehension before the procedure. After all, this is one of the reasons why a 12 week ultrasound is recommended. One of the benefits of having an ultrasound so early in pregnancy is that if complications are found, then parents may be given a choice of continuing with the pregnancy or not. Medical recommendations around this issue are very important. Ethical, religious and personal belief systems also need to be carefully balanced and weighed up. Parents need to feel as if they are fully informed and comfortable with the explanations provided by the sonographer doing the 12 week ultrasound. Follow up care by the healthcare team are equally as important. How will they do the 12 week ultrasound? The 12 week ultrasound is generally done via the mother’s abdomen. It’s not always necessary to have a full bladder, however the individual sonographer may recommend that you have a partially full bladder. This will help to lift your uterus up out of your pelvis so it is easier to see the foetus. Sometimes it is necessary to do a vaginal ultrasound. This will lead to even clearer images. To check that the foetus is developing as it should be. The measurements of the foetus’s skull – the Biparietal distance is calculated and compared against standard lengths for foetuses at similar gestational ages. To see if the foetus has a heartbeat. This should be clearly detectable at the 12 week ultrasound. To confirm pregnancy dates and estimate the date of delivery. To check for multiple foetuses and confirm if one or more is present. To check the size of the foetus and developing placenta. To measure the amount of fluid at the base of the foetus’s neck and make an individualised risk assessment of them having Down Syndrome. The sound waves from the ultrasound return echo free measurements. This is because of the space which is translucent due to its fluid content. To check for other physical abnormalities in the foetus. To check the uterus, fallopian tubes and pelvic region for other complications. What else is measured during a 12 week ultrasound? The foetus’s length, specifically from its head to its bottom. This is known as a Crown Rump length. A general check of the mother and foetus’s internal organs and structures. Many parents are amazed by the amount of detail they can see at the 12 week ultrasound. They are also surprised by their foetus’s movements and agility. Of course, at 12 weeks gestation it is too early for a pregnant mother to be aware of her baby moving. And it can be a strange sensation when looking at the monitor and seeing movement but not being able to physically detect it. Many parents feel an instant emotional connection with their baby when they see it for the first time. It’s not uncommon for fathers to say that until they 12 week ultrasound, the whole pregnancy idea was a little foreign and somehow not real. But being able to see their baby rather than talking about it and having to use their imagination, makes all the difference. When will I know if everything’s alright with my 12 week ultrasound? You should be told straightaway if everything is going well. If you have had your biochemistry blood tests taken before the ultrasound and these results are back, then you should be able to have these results as well straight after your ultrasound is finished or at your next appointment with your maternity carer. Many maternity healthcare providers recommend mothers have the blood test at 10 weeks gestation. The sonographer will be able talk their way through the procedure and turn the screen so that you can see what they are looking at during the ultrasound. There may also be a separate monitor for you and your partner to look at. If you want explanation, then just ask the sonographer to tell you what they are checking. If they are unsure or want clarification they will often request a colleague come into the room and have a look at the ultrasound. Obviously, this can be a pretty unnerving process especially if you’ve not had any reason to believe that there are any complications. How accurate is the first trimester screening test? At the current time, the combined First Trimester Screening is thought to be the most accurate test for Down Syndrome. For those women whose results return a high risk of carrying an embryo with Down Syndrome the next stage is generally Chorionic Villus Sampling or an Amniocentesis. Having a low risk result for the First Trimester Screening Test does not give a 100% guarantee that there will not be a chromosomal abnormality. What it does is categorise a pregnancy into an increased or decreased risk. How long will my 12 week ultrasound take? Generally, bookings of 30 minutes are made. This allows the sonographer enough time to do a thorough and comprehensive check and assessment. Try not to squeeze your appointment time between a lot of other tasks you need to achieve in the same day. Put aside some time before and after your ultrasound so you can make it to the appointment in plenty of time, and have the chance to reflect on it afterwards. Ask your partner to be with you on the day, and aim to enjoy this as an event you can both share. Some couples choose to bring family members along as well, and view this as an opportunity to meet their new family member for the first time. How you manage this is your choice, just be mindful that ultrasound rooms can be quite small, so accommodating more than a couple of people can present a practical challenge. Are 12 week ultrasounds part of my routine pregnancy care? Ultrasounds during pregnancy are routinely offered because they provide such an excellent means of diagnosing problems if they are present. They are also low risk, non –invasive and relatively low cost considering the amount of information they give. But you are entirely free to make your own choices regarding whether you want to have pregnancy ultrasounds or not. Some parents feel very strongly that having an ultrasound is not right for them. Part of their reasoning is that if abnormalities are found, then they may be put into a position of having to make decisions based around these findings and for this reason a consent form is completed before this scan is undertaken to ensure this is a scan you actually want to have done. Some parents choose to wait until the screening ultrasound at 18-20 weeks and feel that at 12 weeks it is still too early to be able to see much of their baby’s development. If you are in any doubt, then speak with your maternity care provider about your own individual needs. The LMC who looked after you during your pregnancy will provide postnatal visits after the birth. The LMC provides care for the first six weeks of the post natal period, then will refer you and baby to the GP and Well Child Provider you have chosen. If you live in a rural area where there is no Well Child provider the Rural Nurse Specialist will provide ongoing care and support. Primary maternity services are provided to women and their babies for an uncomplicated pregnancy, labour and birth, and postnatal period. Primary Maternity Services are based on continuity of care. The majority of primary maternity services are provided by Lead Maternity Carers (LMCs). 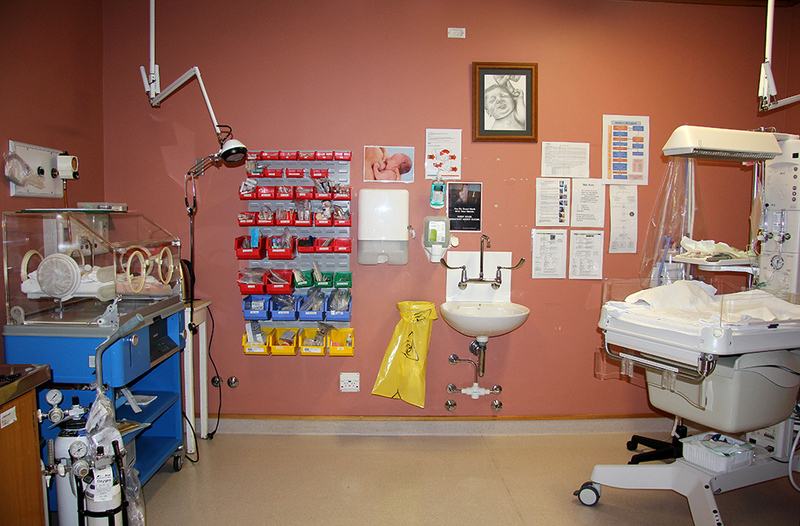 Primary maternity facilities provide inpatient services for labour and birth and the immediate postnatal period. Secondary maternity services are those provided where women or their babies experience complications that need additional maternity care involving obstetricians, paediatricians and other specialists. Secondary maternity services include routine and urgent specialist consultations, elective and emergency caesarean sections, assisted deliveries, all treatment required in emergency situations, allied health services, and support from a lactation consultant for women and babies who experience breastfeeding complications. Tertiary maternity services is additional maternity care provided to women and their babies who have highly complex clinical needs and require consultation with and / or transfer of care to a multidisciplinary specialist team. This consultation and / or transfer of care will be organised by your WCDHB health care team in conjunction with Christchurch Women’s Hospital. Find out what you can do to give you and your baby the best possible start. If you are pregnant it is important to protect yourself and your unborn baby from influenza. Experience from previous influenza outbreaks shows that pregnant women, their unborn babies and their new infants are at greater risk from complications associated with influenza. The Fight Flu Website has information about how Influenza immunisation could save you and your pregnancy. Your chances of quitting smoking are three times greater with support than just going it alone. Several services on the Coast provide the support that helps smokers to quit. Smoking during pregnancy affects you and your baby’s health before, during, and after your baby is born. Pregnant? Need extra help to quit smoking? Earn vouchers up to $350, if you quit smoking during pregnancy. Get a $25 voucher at your first appointment, whether you sign up or not. Face to face support for pregnant women wanting to quit smoking. Our smoking cessation practitioners provide cessation support, advice and information on nicotine replacement therapies (NRT) that are safe to use during pregnancy. Tobacco addiction and withdrawal symptoms are explained and support is provided to manage these symptoms and to make informed decisions and choices to become smoke free. Smokefree cessation advisors are based within Grey Base and Buller Hospitals, and in the Corner House, 8 Marlborough St, Greymouth, providing face to face support onsite and home visits if required. Appointments and sessions are flexible to suit client need. Appointment times are within normal working hours during the week and can be scheduled as often as required. Support is usually on a one-to-one basis and partners are welcome. Further groups can be facilitated if requested. Visits are free to the smokefree cessation advisors and NRT is subsidised. All of the medical centres and health clinics on the West Coast offer the Coast Quit Programme, which provides several one-to-one sessions of advice and support with a practice nurse, plus NRT (patches, gum, or lozenges) at a subsidised cost per visit. The Coast Quit Programme is also provided through the community pharmacies in Greymouth and Hokitika. The Aukati Kai Paipa service is a Coast wide Māori based free personalised support programme, including NRT. The National Quitline service provides subsidised NRT and free phone or e-mail support. The West Coast Nutrition service is staffed by NZ registered dietitians and is available for women using Maternity Services on the West Coast. Working Monday to Friday staff see women as outpatients and inpatients for individualised nutrition assessment and advice. The Grey Base Hospital Radiology Department provides ultrasound scanning for pregnant women. Your LMC midwife or doctor will refer you to this service. To ensure timeliness of appropriate ultrasound screening it is important that your referral is made to the Radiology Department before 11 weeks of pregnancy. Scans are scheduled during normal business hours and are performed to manage pregnancy appropriately. The Kaiāwhina is available to support you and your whanau during your stay in McBrearty Ward and to assist in linking you with other relevant services e.g. breastfeeding support, Mother and Pēpi service after discharge. Support is available to help you and your whanau to attend outpatient care. This can include transport where required and if necessary to attend outpatient clinics or other health appointments. Facilitate access where needed to the Whakaruru Hōu Whānau House located on the Greymouth Hospital site. This house is available to inpatients and their whānau residing outside of the Greymouth district. Support and advocacy at whānau hui and meetings held within the hospital setting, with other agencies or in the home setting. Provide information and advice about local agencies and support services for your health and wellbeing. If you are transferred to Christchurch Hospital the Kaiāwhina can assist in accessing the Canterbury Māori Health team (Nga Ratonga Hauora) who can provide support during your stay in Canterbury. Free Māori Health Provider service; a referral can be made to the West Coast Māori health provider, Poutini Waiora, to support you and your whanau at home after discharge from hospital. Provides education, support and advice to wāhine/whānau during pregnancy, following birth and up until 3 years of age. Mothers and Whānau are supported to develop parenting skills, build self esteem and confidence. Included in this is the Well Child Health Core contacts. Poutini Waiora are a kaupapa Māori organisation and therefore the way in which services are delivered to whānau are based on Tikanga and underpinned by the values embedded in manaakitanga, whanaungatanga, rangatiratanga and wairuatanga. Professional cultural services; visits from local Kaumātua can be initiated on your behalf for such things as karakia, tikanga support, cultural guidance, guidance on issues of tapu and tangihanga support. Professional cultural services – visits from local Kaumātua can be initiated on your behalf for such things as karakia, tikanga support, cultural guidance, guidance on issues of tapu and tangihanga support. Having a baby is an exciting time, but can also be a time where a number of stressful or difficult situations and decision making occurs. The role of the maternity social worker is to work with you and your family throughout any part of your pregnancy providing support and counselling if required. This support may consist of assisting you with housing, finance, relationships, pregnancy concerns, information resources including local parenting supports, transfers to other hospitals and to be a supportive link between you and government agencies. Provides a wrap-around, holistic service to support mothers in preparation for parenting. We work together within a multi-disciplinary team involving specialists from a range of health and community groups to help a mother to be get the resources they need to safely look after her newborn baby. For more information, please talk to your LMC midwife. 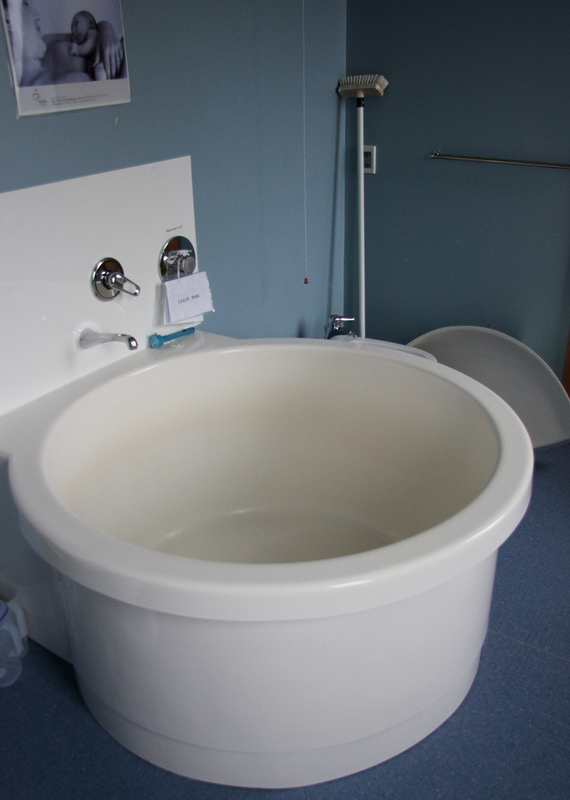 Physiotherapy services are provided at Hokitika, Greymouth, Reefton and Buller. Physiotherapy services provide one to one assessment, treatment and education sessions following referral from another health professional (GP, LMC midwife). Physiotherapy can sometimes help with back pain and postural issues during pregnancy, low abdominal discomfort, carpal tunnel syndrome and weak pelvic floor (continence issues). Physiotherapists present at pregnancy and parenting classes (30 – 45 minute session) in Greymouth and Hokitika. Contact your LMC midwife or GP for a referral to physiotherapy services. The West Coast Breastfeeding Handbook (as pictured on the right) was developed with help of many West Coast mums and launched in August 2012 and last updated in February 2018. Your LMC midwife will give you a copy of this handbook during your pregnancy. You can also download a copy by clicking this link. McBrearty Ward is part of the Baby Friendly Hospital Initiative. The Baby Friendly Hospital Initiative is a global campaign of the World Health Organization (WHO) and the United Nations Children’s Fund (UNICEF). The goal is to increase breastfeeding initiation and duration rates by protecting, promoting and supporting breastfeeding. This campaign recognises that implementing best practice in health services is crucial to the success of programmes. Best practice is represented by ‘The Ten Steps to Successful Breastfeeding’ (The Ten Steps), which were first published in a joint WHO/UNICEF statement in 1989 – Protecting, Promoting and Supporting Breastfeeding: The Special Role of Maternity Services. Help mothers initiate breastfeeding within a half-hour or birth. Give newborn infants of breastfeeding mothers no food or drink other than breastmilk, unless medically indicated. Practise rooming-in – allow mothers and infants to remain together 24 hours a day. Give no artificial teats of pacifiers (also called dummies or soothers) to breastfeeding infants. Foster the establishment of breastfeeding support groups and refer mothers to them on discharge from the hospital. During your stay in McBrearty Ward breastfeeding advice and support is provided. Further, three McBrearty Ward staff are trained lactation consultants. Mum4Mum breastfeeding supporters are mums who have breastfed themselves, have completed training with the West Coast Primary Health Organisation (PHO), and are keen to support other mums in their breastfeeding challenges. BABES in Arms breastfeeding support groups are held in Westport, Reefton, Cobden, Greymouth, & Hokitika once a month. This breastfeeding group can be contacted via Facebook. Breastfeeding Mums West Coast can be contacted here via facebook. Being pregnant and becoming a new mum can be an anxious time. If you have any concerns around your mental health during pregnancy, you can be referred for support and advice to the maternal mental health service. Your GP or LMC midwife can refer you, or you can refer yourself. Robyn Atkinson is the resource person with the Mothers and Babies Mental Health Service in Christchurch and can refer to this service if required. This screening programme is designed for early detection of babies with moderate to severe hearing loss. The West Coast DHB has two fully trained and certified newborn hearing screeners – Barbara Roberts and Mary Sullivan, both based at Grey Base Hospital. If you birth at McBrearty Ward this screening usually takes place prior to you and baby going home. However, if your baby is born at home your LMC midwife will refer your baby for hearing screening within the first week. Babies need to be settled or asleep prior to screening taking place and the mother is present. Screening clinics are held in Westport as required. If one of your family / whanau members is a non-native speaker of English, please inform staff so that interpreting services can be arranged. Provide reassurance that your child is developing normally, through growth and development assessments. Provide you with health education and screening to detecting problems early and supporting you to access the most appropriate care. For even more info visit the Well Child website. Check out our West Coast Breastfeeding on Facebook. Greymouth, Every Thursday at Poutini Waiora rooms, 62 Shakespeare Street. The West Coast Homebirth Association and Active Birth Coastwide are available as a support group and resource library for anyone considering homebirth and/or natural birth. The NZ Multiple Birth Association is the national body that represents 23 local Multiple Birth Clubs, consisting of over 1500 families throughout New Zealand. These multiple birth clubs aim to provide education, support and advocacy to families by providing guidance and resources in their local areas. 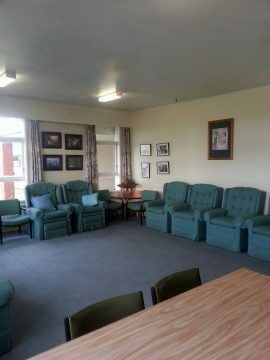 The West Coast support group is affiliated with the Christchurch Multiple Birth Club. Membership gives you access to multiple resource books, regular magazines loaded with helpful information. Here on the West Coast we have three Well Child / Tamariki Ora providers to choose from. To find out more please select the link just below. Family Start website: Family Start is a programme for families/whanau who are struggling with challenges or problems that may make it harder for them to care for their baby or young child. WestREAP website, Early Childhood section: WestREAP supports educational programmes for children under six years old, their families and Early Childhood centres and groups. Homebuilders West Coast website: Homebased social workers work with the client families/whanau using a strengths based approach. Strengths that already exist within the family are identified and plans are made to support families to achieve their goals. Sands website: This site provides support for parents and families who have experienced the death of a baby at any stage during pregnancy, as a baby or infant. McBrearty Ward is situated in Grey Base Hospital and currently has two birthing rooms, one birthing pool and five antenatal / postnatal bedrooms. McBrearty Ward has a single neonatal cot. If a baby requires Neonatal Intensive Care Unit (NICU) services, they are stablilised and transferred to a tertiary centre by an air retrieval team. On most occasions, this would be Christchurch Women’s Hospital. 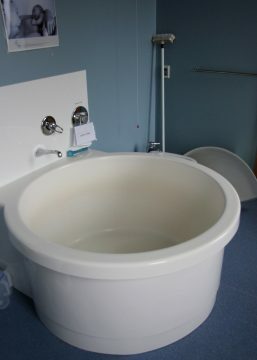 Grey Base Hospital has a four bed facility available for women with high needs either awaiting transfer to tertiary services for more complex care, or to provide additional supportive care prior to returning to the ward. Kawatiri Maternity Unit, situated at Buller Hospital provides antenatal, post natal and primary birthing care to Buller Women. LMC midwives provide continuity of care following women through to Grey Base Hospital for births, as required. Obstetric outpatient clinics are provided fortnightly by specialist obstetricians. In some circumstances partners may be permitted to stay in the unit overnight. However, this is dependent upon resources available in the unit at the time and is at the discretion of the manager of the unit. South Westland maternity services are provided by independent LMCs based in Hokitika. The Department of Internal Affairs, along with several other government agencies including the Ministry of Health, have created a game changing new online service called SmartStart. Find out your due date, about services suited to your needs, handy To Do Lists and Guidance on how to register baby’s birth online. SmartStart is an online tool for parents that makes it easy for them to access government services and support during pregnancy, and the first years of their new baby. SmartStart provides users with integrated information about services provided by a range of agencies and NGOs to help parents check that they’re not missing out on financial help and provides tips on keeping parents and baby healthy and safe. SmartStart provides step-by-step information and support to help you access the right services for you and your baby. On the HealthInfo website you can find information such as how to find and select your midwife, learning what midwives do, how to eat healthily throughout your pregnancy and view video interviews with a range of people who discuss their experiences of pregnancy. HealthInfo is a health information website, brought to you by the Canterbury District Health Board (CDHB). The information on HealthInfo has been written and approved by local doctors, practice nurses, hospital clinicians, and other healthcare professionals. This website has a variety of health information, ranging from factsheets on different topics and descriptions of Canterbury health services and supports, through to links to recommended websites for further reading and research. The Ministry of Health’s health education website provides information on women’s health, pregnancy and newborn screening. This information is available in a number of languages and can be printed in a range of different formats. Here you can find out about how to keep you, your child and whanau healthy and well during pregnancy and the first 5 years of your child’s life. Furthermore watch videos to see different whanau going through pregnancy and sharing their children’s stories. Inland Revenue collects money to pay for public services. The IRD helps people to meet their obligations and receive their entitlements. Their website provides answers to most queries and allows you to carry out regular transactions. You will find information on the IRD website (under Individuals and Families) about Working for Families Tax Credits, Child Support and Paid Parental Leave. There is also additional information about applying for an IRD number, KiwiSaver and Student Loans. Global Health Media have prepared a series of six videos on the care of small, preterm babies. This video series (see image below) was filmed in Bangladesh, Uganda, and Nepal. Working in partnership with the American Academy of Paediatrics, Global Health Media developed the content to complement their Essential Care for Small Babies curriculum which is based on the latest WHO guidelines. Plunket provides FREE Pregnancy and Parenting Education (PPE) programmes for all expectant parents, with the focus to support first time parents. The programme is designed to help expectant parents make the best choices for their family/whanau and assist them to gain confidence, skills and understanding of the pregnancy, childbirth and their parenting role. If the courses on the Pregnancy and Parenting Education (PPE) website are not suitable due to location, date etc. please contact the Pregnancy and Parenting Education (PPE) team; and they will look for other possible options for individual needs; which may occur in rural areas. This service has a particular focus on Māori women and vulnerable women and their whānau, including pregnant teens and other pregnant women with multiple complexities. The aim of the service is to provide education, support and advice to mothers during pregnancy, following the birth, and up until 2 years of age. Support is provided to mothers to engage with other service providers, such as: GPs, LMC midwives, obstetricians, maternity and neonatal services, and Well Child /Tamariki Ora service providers. A warm, therapeutic, non-judgmental and culturally safe supportive environment is provided for pregnant women, new mothers, their partners, whānau and their infant/pēpi, to develop positive and responsible parenting skills, build self-esteem and confidence. Skin-to-skin contact between mother and baby immediately following birth for at least an hour is recommended and we encourage you to recognise when your baby is ready to breastfeed, offering help if you need it. Why is skin-to-skin contact important? Assists in the transition period – from foetal to neonatal life – for the baby. It enhances stabilisation of behaviour and facilitates adaptation to the outside world. Encourages breastfeeding – driven by smell, taste, voice – the unwashed breast is best. Stabilises heart rate, temperature, blood pressure, pulse, oxygen saturation and therefore blood sugars. Babies cry less (therefore aids blood sugar stabilising). Offers pain relief during painful procedures. Colonises baby with maternal pathogens. Takes advantage of the baby’s alert period after birth. A latch usually occurs by 50 minutes as long as there is no influence from drugs given during labour. Separation from the mother doubles the baby’s stress hormones. These levels decrease when baby is given back to mother. McBrearty Maternity Unit supports baby and mother rooming-in together. Ensure your baby’s face is clear of bedding and they can’t get trapped or strangled. Avoid using pillows and bumper pads; don’t put baby down on soft surfaces; make sure there are no loose blankets; remove any cords from bedding; ensure there are no gaps in their bed. Your baby is safest in their own bed (a cot, bassinette, wahakura or Pepi-Pod®) and in the same room as their parent/caregiver (when the parent/caregiver is also asleep). Babies shouldn’t sleep in bed with another person (either adult or child). Your baby should be smoke free in the womb and after birth. Also make sure friends and family don’t smoke around baby. In 2015, the Ministry of Health published a discussion guide for midwives, practice nurses and other health professionals to discuss immunisation with new and expectant parents, called “Let’s talk about Immunisation”. The material in the discussion guide has been condensed for use as a presentation for parenting and pregnancy education classes. Research has suggested that there was a need for resources about immunisation in this context, particularly maternal immunisation. You are invited to download the presentation, but please note that it’s a large file, as it includes two short video clips for presenters to show as they see fit. Please note: In order to view the 2 videos that form part of this presentation you would be best to first download the file to your computer. Also you need to have a recent version of QuickTime installed on your computer. The Fight Flu Website has even more about how Influenza immunisation could save you and your pregnancy.